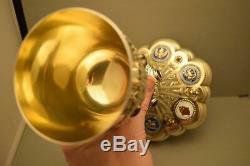 + This is a beautiful Antique Enameled All Sterling Silver Chalice as shown +. + Fully hand embossed with amethyst and garnet stones mounted all around +. 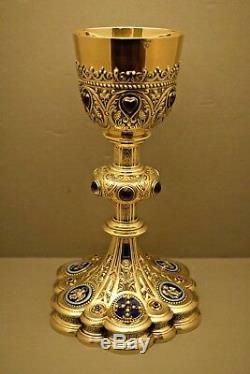 + It stands 10 5/8" tall, 3 5/8" cup diameter, 6 3/8 base diameter +. 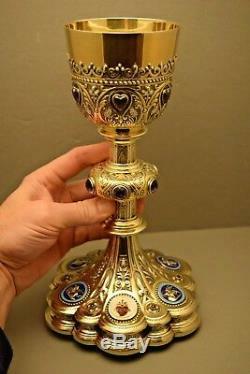 + Marked "STERLING" on cup and base +. 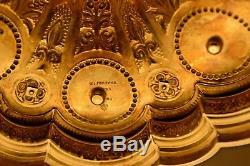 + All original, well preserved, unrestored + Beautiful! 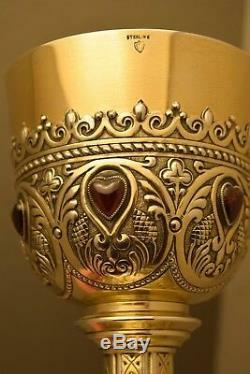 + The cup has 6 heart shaped garnet cabochons bezel set +. + The node has 6 faceted amethyst stones bezel set +. + The base has embossed panels of the 4 Evangelists with genuine baked enamel +. 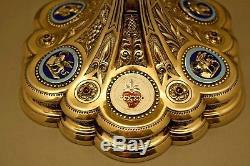 + Cross on front and enameled Sacred Heart of Jesus panel on back +. 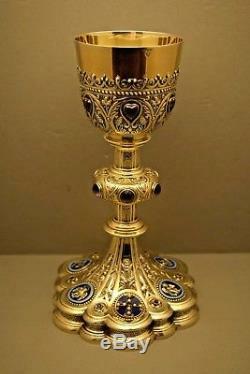 + A world class chalice, perfectly preserved for 100 years + No memorials +. (B19) On display in showroom. 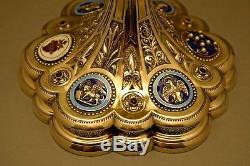 + We have thousands of classic church items, please see our other listings to view them all +. 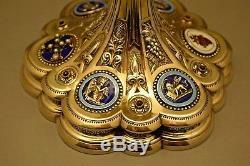 Another listing from creative urns. 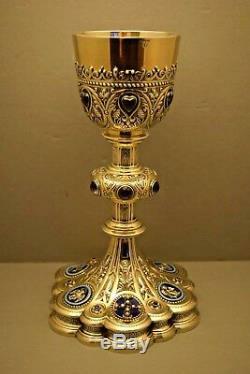 The item "+ Very Fine All Sterling Silver Enameled Chalice + Made by W. (B19)" is in sale since Friday, November 30, 2018. 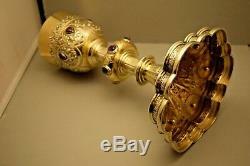 This item is in the category "Collectibles\Religion & Spirituality\Christianity\Other Christian Collectibles". 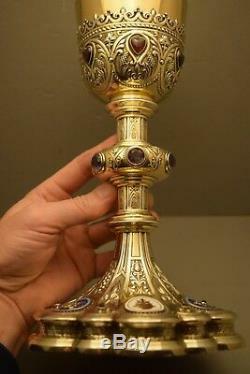 The seller is "liturgy" and is located in Danbury, Connecticut. This item can be shipped to United States.